Make sure you take advantage of perhaps the only time you’ll be able to see this incarnation of Gilas Pilipinas LIVE in the Philippines! 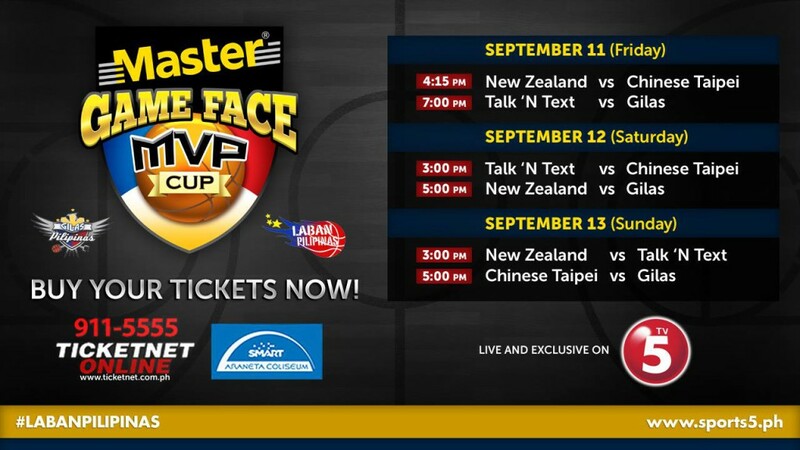 The national team will take on Chinese-Taipei and New Zealand’s Wellington Saints, a pair of familiar foes from the recently-concluded 2015 William Jones Cup, plus the PBA’s Talk ‘N Text Tropang Texters. Make sure you keep it to SLAM PH Online for coverage of the national team’s final pocket tournament before the 2015 FIBA Asia Championship.